Most people who take the GRE take it on the computer, so you may be wondering if you’re allowed to use scratch paper during the exam. The answer is yes; you can use scratch paper during the GRE. However, that’s not all you need to know. ETS (the organization which develops and administers the GRE) has specific rules on what scratch paper you can use and how you can use it. Breaking one of these rules can result in you being dismissed from the testing center and your scores thrown out. Additionally, there are specific ways to use GRE scratch paper that can help you answer questions more quickly and raise your score on each section of the exam. Keep reading to learn all about scratch paper on the GRE, what to do, and what not to do. Can You Use Scratch Paper on the GRE? Yes, you are allowed to have scratch paper when you take the GRE, and you’re even encouraged to use it. You won’t be able to bring your own scratch paper, but you’ll be given paper and a pencil by the test administrator right before you walk into the testing room to begin your exam. Before you can go into the testing room you’ll, among other things, need to store your valuables and show that your pockets are empty to ensure you’re not bringing any prohibited materials (such as your own scratch paper) into the testing room. During the exam, you’ll be able to write whatever you want on the scratch paper and use it any way you wish. You can’t take the GRE scratch paper with you when you leave the room during breaks, however. You’ll likely be given more than enough GRE scrap paper but, if at any time during the exam you run out, raise your hand and the test administrator will give you additional paper. There’s no set rule for how much paper you’ll be given; it varies by testing center. However, you’ll likely be given three to six sheets, which may be bound together in a booklet or loose pages. After you complete the test, you can’t take any of your GRE scratch paper with you; you’ll have to return it to the test administrator who will dispose of it. You’ll receive your unofficial Verbal Reasoning and Quantitative Reasoning scores immediately after you complete the exam, and if you want to write those scores down so you can remember them, you can ask the test administrator for a Post-it note or new piece of paper as you leave the testing room. There are a lot of strict rules and regulations you have to follow when you take the GRE. Breaking any one of them can result in you being removed from the test center and your scores being voided. Below are several scratch paper warnings you should be sure not to do. Read over them now so there’s no confusion on test day. Even if the paper you bring is completely blank, you still won’t be able to bring it into the testing room. The test administrator will provide you with all the scratch paper you need. You are not allowed to write anything on your scratch paper until you begin the GRE (this will be when you see the first Analytical Writing prompt and a timer appears in the corner of your computer screen). This rule is in place to prevent people from writing downs all the tips and information they memorized before they begin the exam. 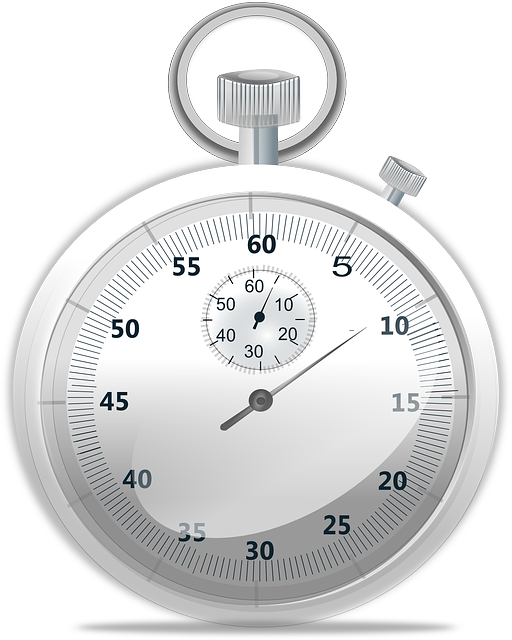 Don’t begin using your scratch paper until the test has started and you see a timer on the screen. This should be fairly obvious, but only write on the scratch paper, not anything else in the testing center, such as the table or computer. Doing so will likely get you removed from the exam and could damage equipment. If you run out of room and need more scratch paper, raise your hand and the test administrator will bring you some. Finally, don’t try to take even a single piece of GRE scratch paper with you when you leave the exam. You’ll have to return all of your scratch paper to the test administrator when you leave, and trying to keep any of it could lead to you being accused of cheating or attempting to sell test questions. Don’t put yourself in this situation, and just return all your scratch paper when the test is over. If you need to write down your scores to remember them, the test administrator will give you a new piece of paper that you can take with you. Now you know that you can use scratch paper on the GRE, but that isn’t enough! Read this section for tips on how to use scratch paper to help you achieve your highest possible score on the GRE. This section starts by given tips applicable to the entire exam then goes into how you should use scratch paper for each of the three main test subjects. Your scratch paper will likely only slow you down and confuse you if your notes are scribbled all over the place and you can’t find what you’re looking for. Make things easier on yourself by devoting one side of a piece of paper to each section of the GRE. When that section’s done, flip to a new side or get a new piece of paper and start fresh. You don’t earn any extra points for only using one piece of scratch paper. During each section, start your notes at the top of the page and work down so that your notes are in a logical order. It’s also often helpful to write the question number you’re working on next to those notes so you can easily come back to the right notes if you’re reviewing your answers at the end of a section. 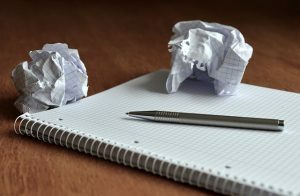 You can have the most organized notes in the world, but they won’t help you if you can’t read your own writing. Sloppy writing can also cause you to make errors. For example, you could mistake a 7 for a 1 and mark the wrong answer even when you knew how to solve that problem. When using your scratch paper, take a few extra seconds to write neatly. It won’t cost you much time, and it can save you the hassle of trying to decipher your scribbles. Additionally, forcing yourself to slow down a bit can reduce your stress and anxiety during the exam and make you less prone to careless mistakes. For the Analytical Writing section, you’ll write two separate essays, Analyze the Issue and Analyze the Argument, and you’ll be given 30 minutes to write each one. Taking a few minutes to outline your essays can help you write much stronger arguments and avoid writing a meandering essay that lacks focus. For Verbal Reasoning, your scratch paper will likely help you most on the questions that deal with long passages. It’s easy to start reading one of these passages and forget what was discussed at the beginning by the time you finish it. While you’re reading the passage, use your scratch paper to jot down major ideas of the passage. 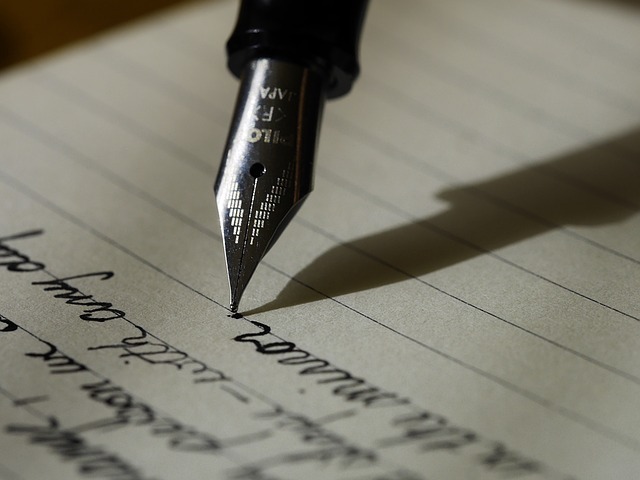 This can include key points made, phrases that show the author’s opinion or purpose, and the general scope of the passage. It can also be helpful to write down the line number or paragraph where you found this information so you can reference it quickly in the passage if you need to. You’ll have access to an onscreen calculator for the entire Quantitative Reasoning section, but you should still be using your scratch paper for this section. For each question, you can start by jotting down any relevant formulas you need to answer it. Then, write down as many steps as you need to in order to stay organized and solve the problem. I’ve found that this is the section where it’s most common for your notes to become sloppy and confusing; it’s so easy to jot down random notes wherever you have space, but when you look back at your paper, it’ll look like a jumbled mess. As I mentioned earlier, keep your notes neat and organized by starting at the top of the paper and working your way down, keeping notes for a particular problem together, and putting the question number next to those notes so you can easily identify them again. Having neat handwriting for this section can also help you avoid careless mistakes caused by misreading your notes. The GRE includes some questions on geometry, and using your GRE scratch paper to draw diagrams can make these problems a lot easier to understand and solve. If a particular problem doesn’t give a diagram, drawing one yourself and including any other given information can help you visualize the problem and potential solutions much more easily. You may also want to draw your own diagrams for problems that already include them, since many times these pictures are not drawn to scale. This can trick you into answering the question incorrectly. Don’t worry about your diagram looking perfect, just make sure it includes all the information given to you in the problem. Scratch paper is allowed and encouraged on the GRE. You can’t bring in your own scratch paper, but you’ll be given as much as you need in the test center. Make sure not to write on the scratch paper before the exam begins, don’t write on anything other than the scratch paper you’re given, and remember to return all scratch paper to the test administrator when you’re finished with the test. Remember that the scratch paper is there to make taking the GRE a bit easier. Keep your notes organized and write neatly, so you can keep track of the info you need to ace each question. Still looking for more information on the GRE? Check out our comprehensive guide to the GRE, including what skills it tests, how it’s formatted, and how important it is for grad school. What score should you be aiming for on the GRE? Learn what a good score on the GRE is and get study tips on how to reach that score. Wondering how your GRE score is calculated? 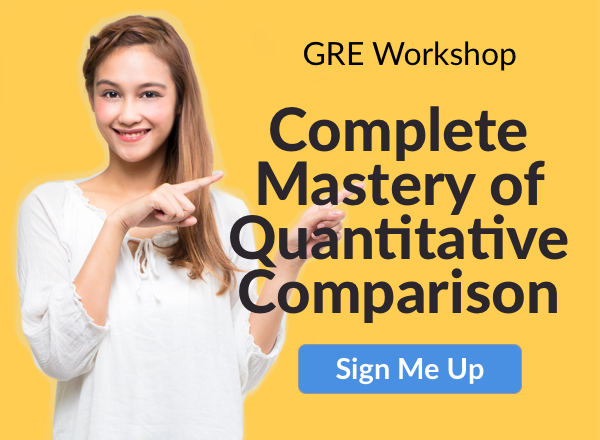 Our guide explains how the GRE is scored, what adaptive scoring is, and which GRE questions have a much bigger impact on your final score than others. Previous Previous post: GRE Total Score: What Is It? GRE General Info	GRE Total Score: What Is It?